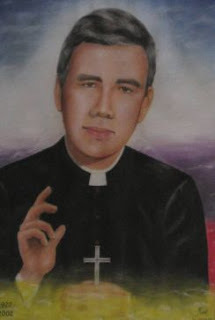 Rutilio Grande was a Jesuit priest who was murdered by El Salvador's military in 1977 for his work empowering poor communities in the countryside. His murder was an event which made clear to San Salvador's new archbishop Oscar Romero, the kind of pastoral leader he would need to be. 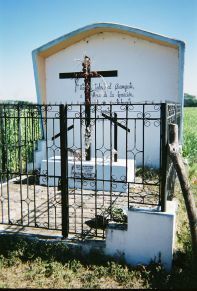 The Roman Catholic church has now opened the process which could lead to Rutilio Grande's canonization as a saint. As reported by Carlos Colorado, the phase of the process conducted in the church in El Salvador concluded in August and the cause now goes to Rome. Kelly is the author of the splendid book, "When the Gospel Grows Feet: Rutilio Grande, S.J. and the Church of El Salvador." In March 2015, the confession of one of the members of El Salvador's National Guard who participated in the assassination was published in ContraPunto. Many in El Salvador hope that there could be a joint celebration in El Salvador involving the beatification of Rutilio Grande and the canonization of Oscar Romero presided over by Pope Francis. The pope is said to be in favor of advancing the cause of Father Grande. Has the wealthy minority - who hold in their hands the economy, the power of decision, the control of the press and all the media - been transfigured? There are many baptized in our country who have not completely ingested the demands of the gospel: a total transfiguration. The Christian revolution is based on a love which excludes no single human being. Jesus, after all, enfleshed himself as one of our peasants to share their miseries. Can we call ourselves his followers and not do the same?